CocoRosie are a hard nut to crack. The duo (comprising the Casady sisters Sierra and Bianca), with their peculiar brand of lo-fi, childlike hymns fall, albeit rather awkwardly, into the 'new folk' club; somewhere between Devendra Banhart's surrealist warbling (which surfaces in the form of a guest appearance here) and M.Ward's ethereal, ancient whispers. However, the Casadys' music eludes any easy classification; on Noah's Ark folk, hip hop and soul all swap and trade places in front of an ever changing backdrop of pianos, beat-boxing, the occasional ringing telephone, meowing cat, or whinnying horse. With CocoRosie you come to expect the unexpected. Noah's Ark partially picks up where their beautifully sparse debut, La Maison De Mon Reve, left off, with hushed, almost amateurish, plucking and strumming still sitting alongside the sisters’ crooning (Bianca's voice a childish croak that almost outdoes Joanna Newsom, Sierra's altogether more soulfully melodic). But where La Maison… was on the whole a relatively upbeat affair (see the charmingly disarming 'By Your Side'), Noah’s Ark on the surface appears to tread an altogether darker path; the front cover alone seems to suggest a darker theme. Indeed, tracks such as 'Beautiful Boyz', featuring Antony of … and the Johnsons fame singing of "pimps and queens and criminal queers", or 'The Sea Is Calm' which collapses into a haunting, echoing refrain of "she drew a beautiful picture of a whale", seem, at first, to confirm this. However after a few listens the darkness starts to shift and merge into a thing of real beauty; the record's twin themes of religion and childhood (Coco and Rosie were the sisters' playground nicknames) creating an atmosphere of both beguiling naivety and deep profundity. The record's standout moments come when the sound of childishness and maturity sit side by side: see the wickedly lovely closing track 'Honey Or Tar' where the sisters sing, "I rode you on the chair and in the shower", or 'Armageddon' with its ironic campfire-like chant of "I'll be a stockbroker and get me a wife…oh what a pity the world's not white". 'South 2nd' deals directly with difficult childhood, with Bianca singing, "Mama won't be making no birthday cake". 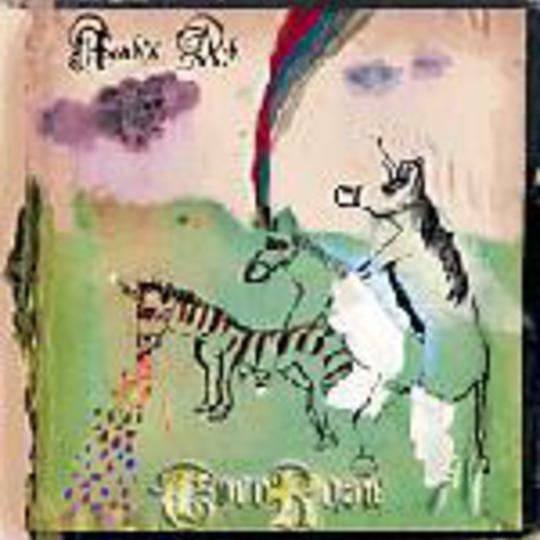 Even though the sisters' bond is as essential to this album as it was to their previous effort, Noah's Ark comes across as less insular and claustrophobic than La Maison…; whereas that album was based around their reaquaintance in a flat in Paris after years of estrangement, Noah's Ark feels more open, like we're being let in on the secret. Noah's Ark sets itself apart not only from its predecessor but from its peers in moments like the descent into dreamlike religiosity on 'Brazilian Sun', or 'Binosaurs' where French rap (provided by collaborator Spleen) vies with operatic soprano and soul; the sisters show an ability to pull different sounds and shapes together to make something extremely enchanting and really very lovely, more so than many other things you’ll hear this year. This isn't an album for walking the streets to or for throwing on at a party, but one for the bedroom, both soft and dark all at once, very young and yet terribly old.